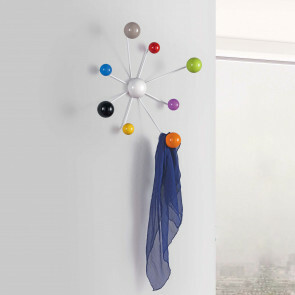 Globo is a coat hanger with coloured hooks to fasten to the wall of the doorway, of the bedroom or of the bathroom. Simple but original solution one colour, bicolour and multicolour, with 8 hooks. 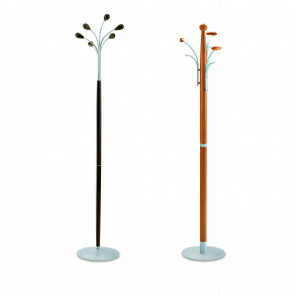 Liolà is a vertical coat hanger made of natural larch wood or coloured MDF. 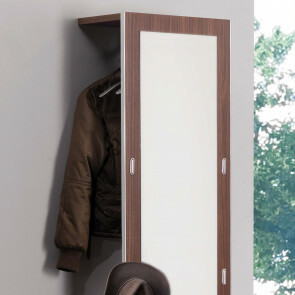 It features hidden upper hook for jackets and coats as well as knobs at the bottom for bags and sacks. 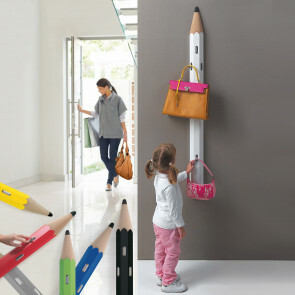 Matità pencil coat rack comes with an original and fun shape. It gives personality and brightness to the entrance hall, the living area, bedroom and kids bedroom. 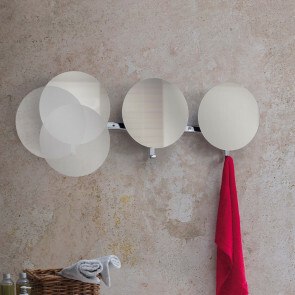 Evolution wooden coat rack with mirror, equipped with 5 hooks and a mirrored surface. 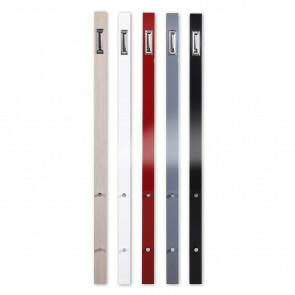 The frame supporting both items is available in 8 different finishes. 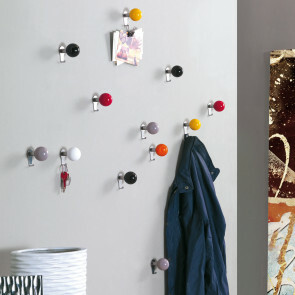 Evolution E01 hallway coat rack with mirror is equipped with hooks and bar for clothes hangers. It finds its ideal place fastened to the wall of the entrance hall or bedroom. 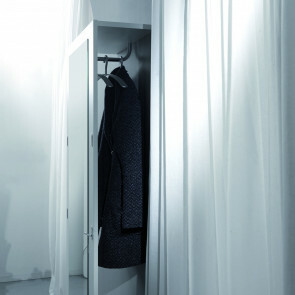 Evolution E02 mirror with coat hangers, equipped with 4 hooks and a bar for hangers. 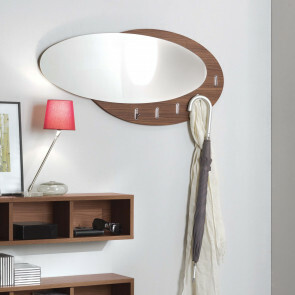 Mirror and shelves complete the composition by offering many convenient functions to the panel. Smile wooden coat stand available in 2 models and 2 finishes. A clean shape and design makes it perfect for both the hallway and living area of the house. Lady round wall coat rack with mirror is available in a model with one or three hooks. It's a simple and functional way of furnishing small spaces, from the hallway, bedroom up to the bathroom.